I decided to look into koji after eating koji marinated pork at Ootoya, which opened a few months ago near Union Square. My mum was raving about it while I was back home and there has been a koji boom in Japan since last year. Until I did a bit of research I didn’t know about the health benefits. Koji is not a new thing in Japan. It’s the essential ingredient for making all the iconic Japanese products including soy sauce, miso and sake. Apparently it was popularized in a food based manga, and I’ve also heard that the interest peaked shortly after the earthquake and tsunami of March 2011 because people became even more health conscious. 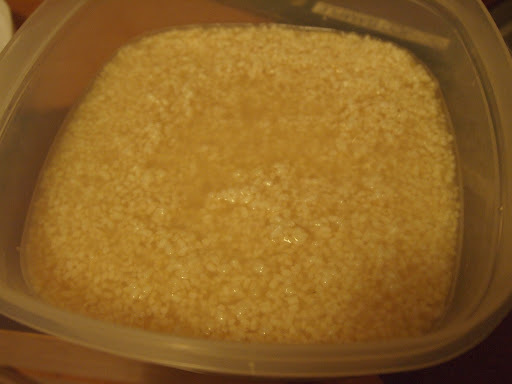 Koji is Aspergillus oryzae in English and is a fungus that derives from fermenting steamed rice, wheat or soybeans. You can buy dry koji rice to make either shio-koji (salted koji) or ama-koji (sweet koji). Soy sauce and sake are typically pasteurized so the benefits of koji are lost. But by using koji rice as a condiment or marinade, you can get all the benefits from the live enzymes and live culture (lactobacillus). Koji can break down proteins into amino acids (including glutamic acid, responsible for umami) and starch into sugars. 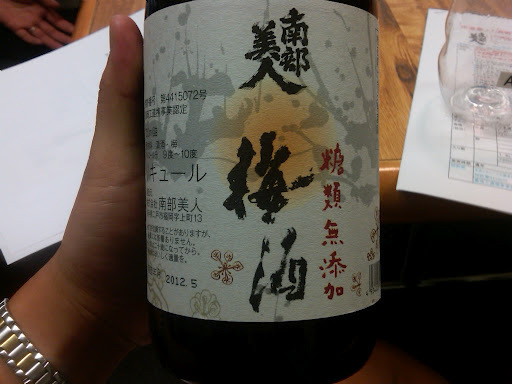 In fact, Nanbu Bijin has patented their no sugar added umeshu (ume plum sake), which is sweetened only with koji. This means their umeshu has a lot less calories and added sugars, hence is healthier. Other umeshu typically includes as much sugar as ume plums in weight. I don’t think I can go back to drinking other umeshu after having tasted this stuff! 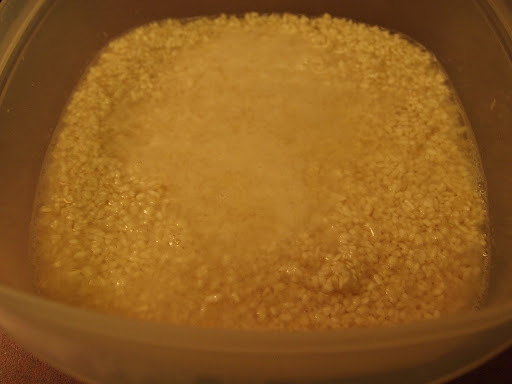 Ama-koji can be used in place of sugar as a healthier alternative. It is made by cooking rice, folding in koji rice, and letting it slowly ferment in the rice cooker. I was interested in shio-koji because of the ability of it to enhance umami in proteins. Apparently it’s especially true when combined with chicken, which is high in protease, which is responsible for making glutamic acid. After marinating meats in shio-koji overnight, glutamic acid can increase by as much as 30%. It also has a tenderizing effect. The great thing about shio-koji is that you can greatly reduce the amount of salt you use because the umami is enhanced. Also, the result is a nice balance of saltiness with a hint of sweetness from the koji. The basic ratio for making salt koji is 3 to 1 (koji to salt). 1. 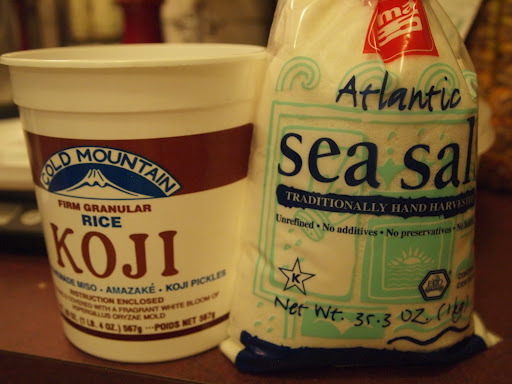 Combine the salt and koji and place in a plastic container (avoid stainless steel or metal containers). 2. Pour just enough water to cover the mixture. Keep covered and store in room temperature (during winter, store in a warm area for a week – 10 days and during summer store for about 5 days). 3. The next day, it will have absorbed most of the water so add just enough water to cover the mixture and stir well. 4. After the second day stir the mixture well once every day (but do NOT add more water). 5. After 5 days (summer)- 10 days (winter), the fermented koji marinade will be ready to use. 6. 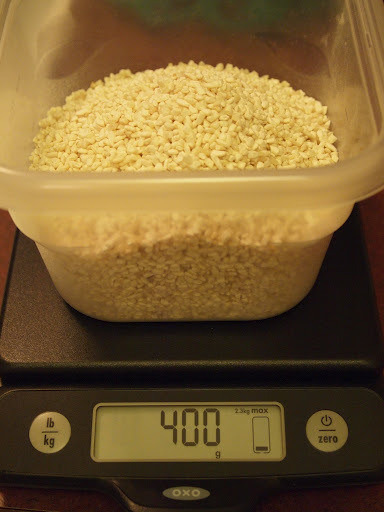 Use approximately 7-10% of the food weight in koji. For example, if you are marinating 1 lb of pork, marinate in 1.12- 1.6 oz of the koji mixture. 7. For vegetables (turnip, cucumber, cabbage etc), marinate for up to half a day. There is no need to wipe off the koji mixture. 8. For meat and fish, marinate anywhere from 1 hour to half a day (varies depending on the protein and cut/size). Chicken wings only need to be marinated for 1-3 hours. 9. The koji marinade burns quite easily so wipe off any excess marinade before cooking. As you can see in the photo the pork that was marinated in koji looks like it nearly burned. I love the smell of cooked meat marinated in koji. It’s like miso-marinated meats without the pungency. It’s not as salty either, with a pleasant sweet finish. 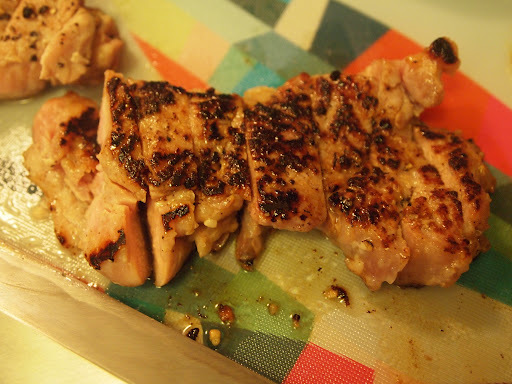 I only marinated this pork for three hours but I think the koji did wonders. 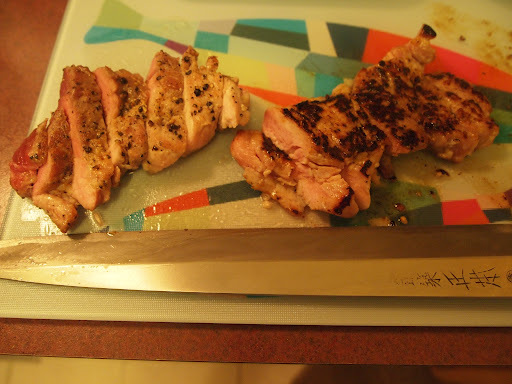 It was more tender and obviously more flavorful than the pork I seasoned with just salt and black pepper. 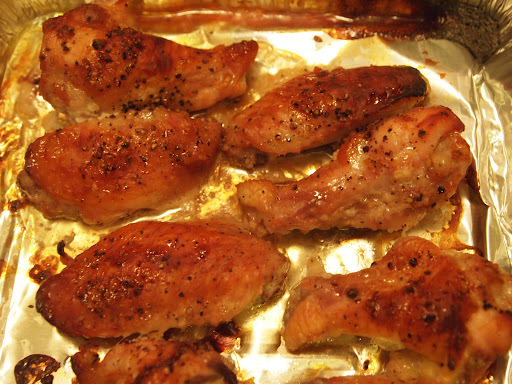 I also marinated chicken wings for just a couple of hours and baked them in the oven. This was by far my favorite use of shio-koji. Hard to believe that just koji and salt with a bit of cracked black pepper can make something this flavorful! I'll have to try this, just started my shio koji last week and I've only tried making a simple tsukemono with carrots and cucumber. Thanks for posting this. may I know where you got your koji rice in Singapore? Been trying to source out this starter bacteria for some time. Cant seem to find any, even in the Japanese supermarket, J-Mart. Would really appreciate the heads up. Thanks. Sorry, I’m based in NY so I’m not sure where you can get Koji in Singapore! Did you try Meidi-ya?